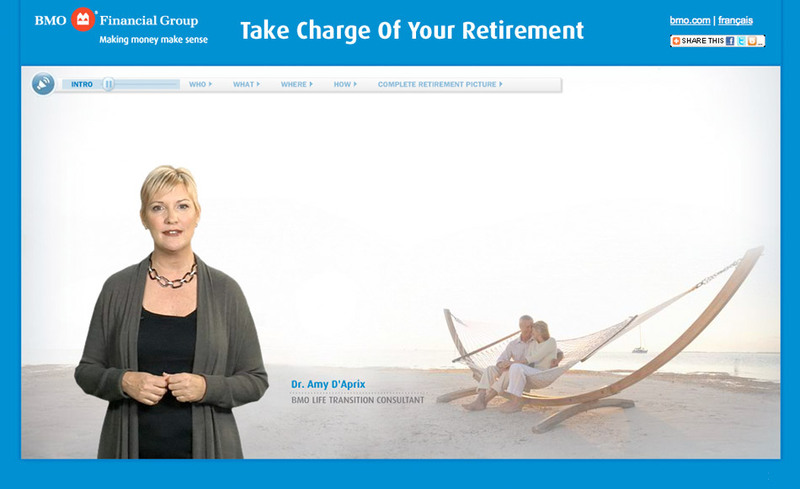 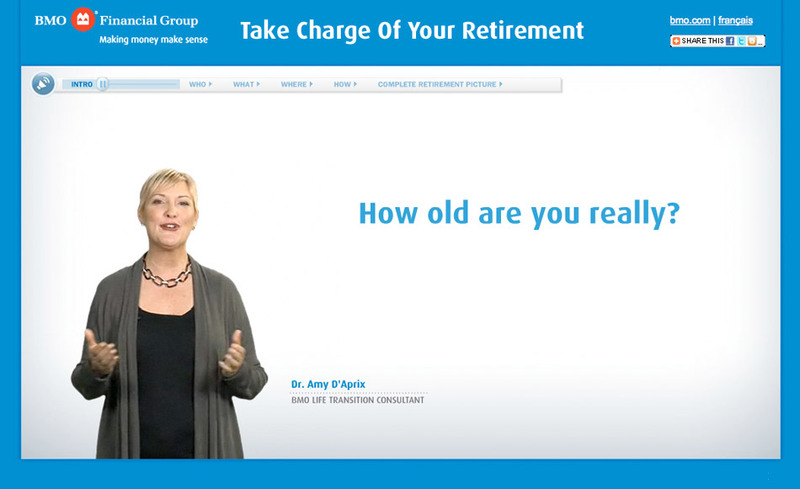 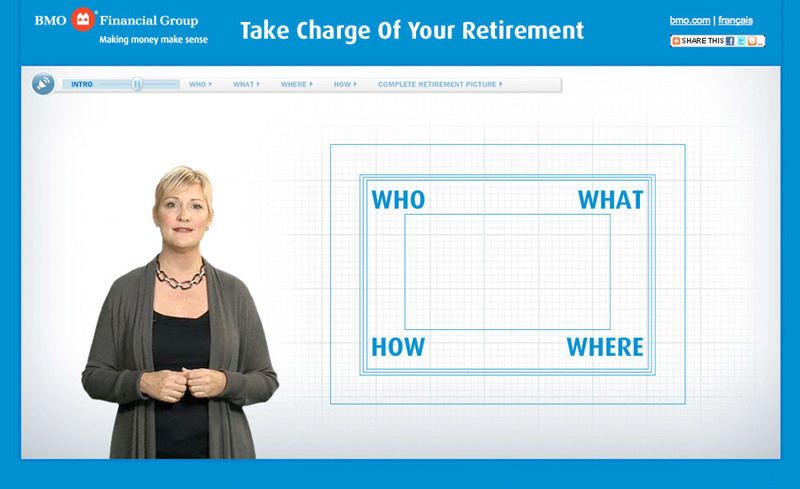 With the goal of updating the previous year’s successful Retirement campaign, BMO enlisted Dr. Amy D’Aprix, Life Transition Consultant to help institute a fresh, new approach to Retirement Planning. 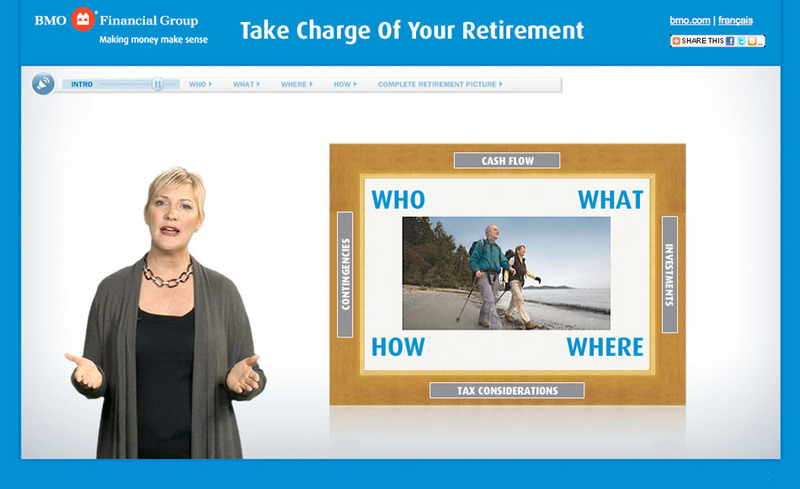 This dynamic and talented speaker became the focal point for the online and interactive video-based planning tool. 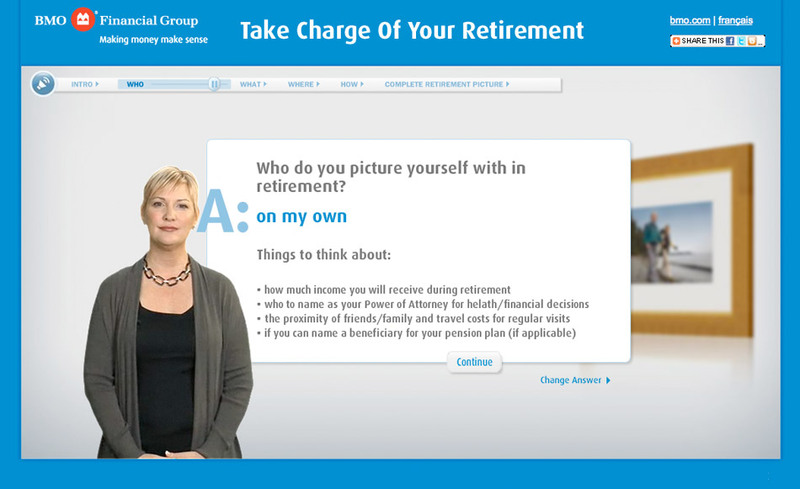 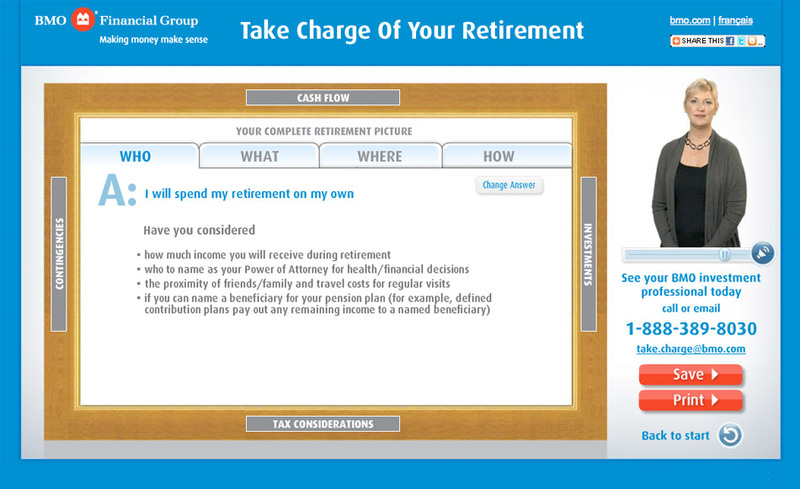 The microsite ultimately became the flagship of a national integrated campaign used by every BMO Investment Advisor and Financial Planner in every branch nationwide. 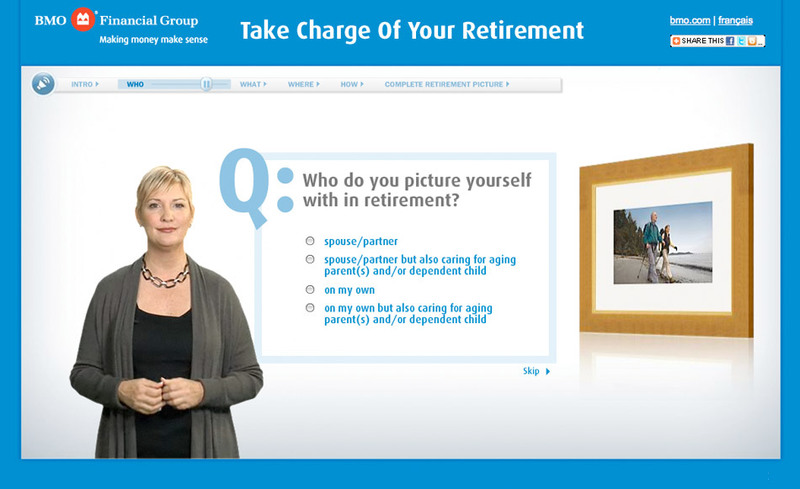 The launch was featured on Breakfast Television and was deemed a runaway success by customers and management.